Product categories of Goji Seeds Oil, we are specialized manufacturers from China, Goji Seeds Oil, Goji Berry Oil suppliers/factory, wholesale high-quality products of Pure Goji Oil R & D and manufacturing, we have the perfect after-sales service and technical support. Look forward to your cooperation! Goji seeds contain rich and comprehensive biological active substances which breed and develop lives. 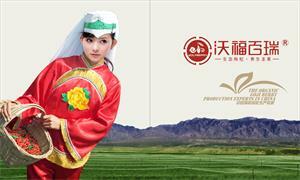 The Goji seeds produced by Wolfberry Company are extracted from the Organic Goji Berry. 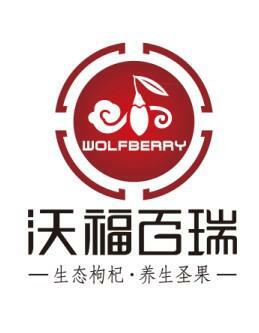 Wolfberry company use supercritical CO2 extraction to get the Goji berry seeds without any solvent residue. The supercritical CO2 extraction is processed under room temperature and anaerobic conditions to prevent the oxidative degeneration of active ingredients and to make it as high-quality health-care boutique with high purity without any pollution. 1, regulating blood fat, medlar seed oil is called "blood scavenger", the unsaturated fatty acids, linolenic acid, oleic acid content as high as 85%. And contains a large number of phospholipids, can reduce plasma cholesterol, reduce blood vessel wall cholesterol deposition, prevent atherosclerosis lipid. 2, anti-aging: Lycium barbarum oil contains SOD and add VE, can eliminate superoxide radicals damage to the skin cells, improve skin's ability to absorb oxygen, delaying skin aging, beauty beauty effect. 3, eliminate fading spots, wolfberry seed oil on the age spots and melasma pigmentation have a significant role in fading. 4, nourishing yin and yang, wolfberry seed oil can increase the physiological level has increased on the human hypothalamic pituitary gland function to improve, and to maintain the normal physiology have a major regulatory role. 5, eyesight, wolfberry seed oil is rich in lutein, zeaxanthin, early glaucoma, cataract, conjunctivitis and other eye diseases have a good therapeutic effect. Goji Seeds oil contains around 18% oil. Through supercritical CO2 extraction, it can get 98% oil from Goji seeds. According to the analysis and test, the seeds oil contains linoleic acid 68.3%, oleic acid 19.1%, γ-linolenic acid 4.2%, β-carotene, 170.0 mg / 100g, Vitamin E 27.0 mg / 100g, 15.0 mg of lutein / 100g, zeaxanthin 9.2 mg / 100g, phospholipids 0.25%, and many trace elements and bioactive substances SOD. [Supercritical CO2 extraction Goji Seeds Oil production methods" won the national invention patents and the patent number is ZL 99106579.4.